Let’s be honest and clear about one thing, at the sheer rate that they are being manufactured, there are bound to be shortcuts made, or less than stellar components used. 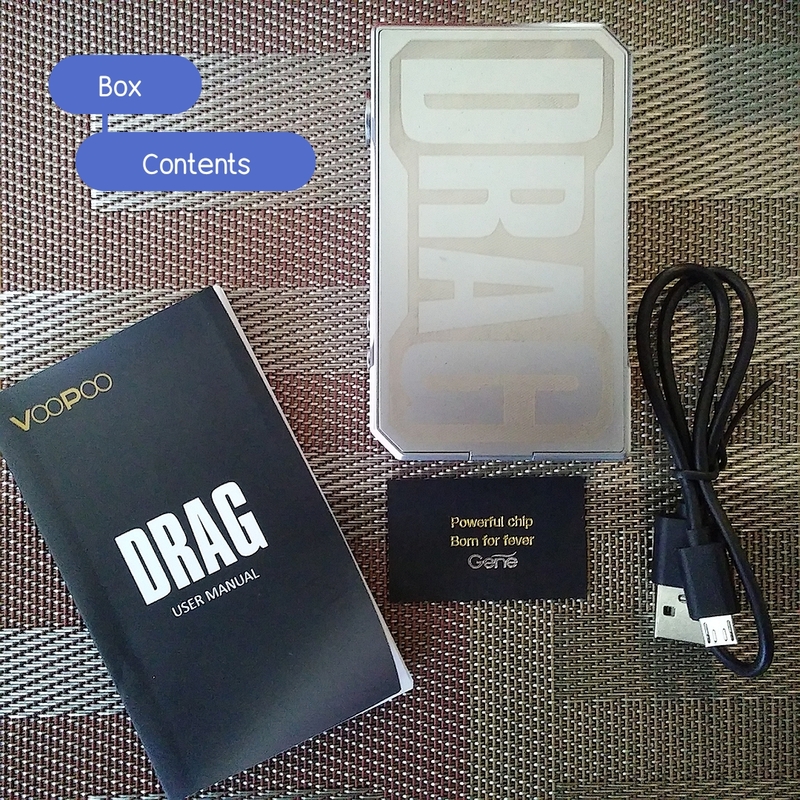 That is where the Voopoo Drag comes in, stomping past with its durable frame, awesome Gene Chip, sleek body, and superb functionality. 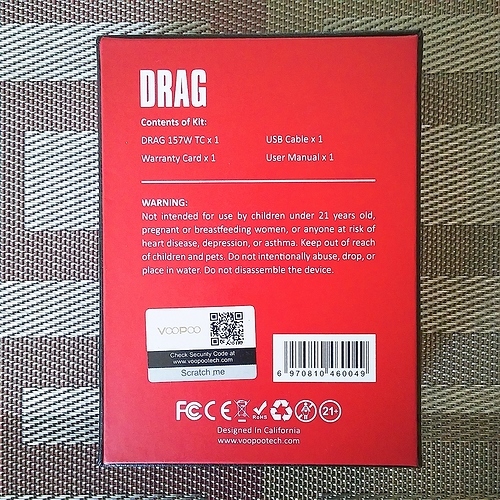 This review is a bit late for the Voopoo Drag, but I really wanted to display its full glory. 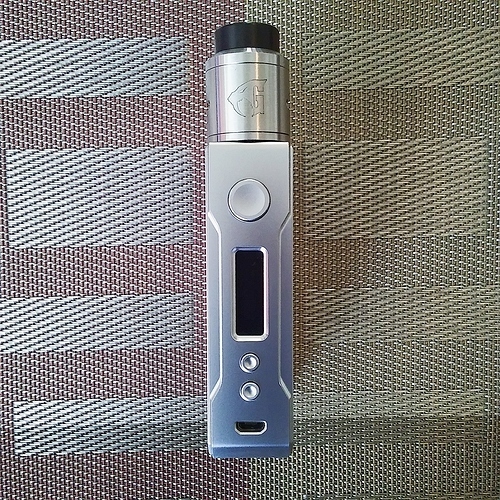 This mod was provided to me via giveaway, from the wonderful folks at Heaven Gifts. The body of the Drag is Anodized Zinc Alloy, which looks stunning, and the fact that it has been left unpainted only serves to say that this is a strong and beefy mod, no paint necessary to get its point across. I honestly like the Carbon Fiber sticker on the side, it’s smooth to the touch, and running your fingers over it is almost a reflex. 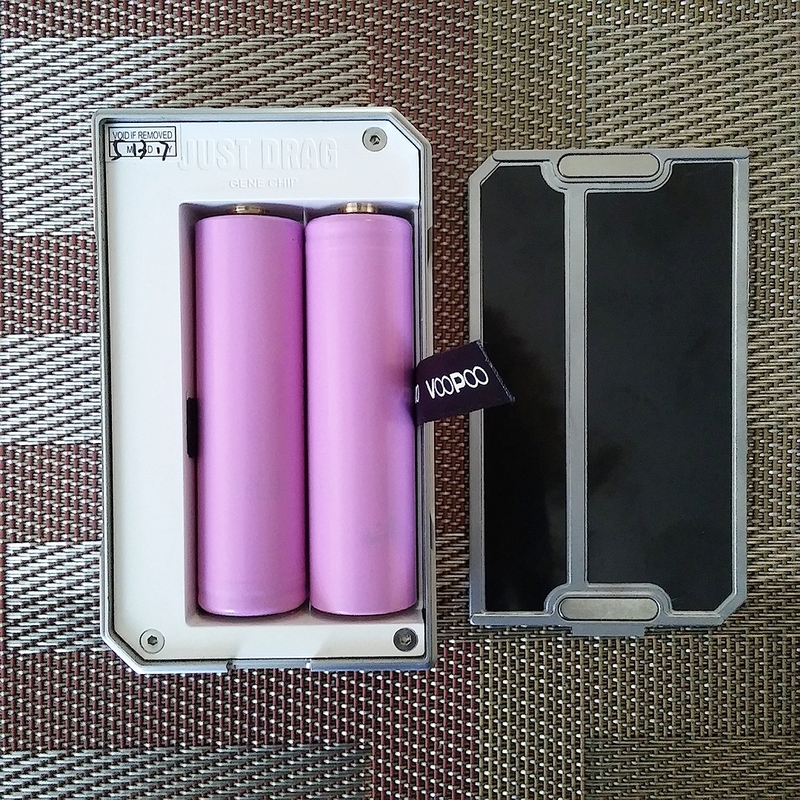 The etched logo on the battery side is one of the small, tiny cons I find with this device. The etching is so fine, and so shallow that skin, dirt, etc. gets lodged into the small crevices, basically discoloring the etching until you can use something with fine bristles to coax it out of there. 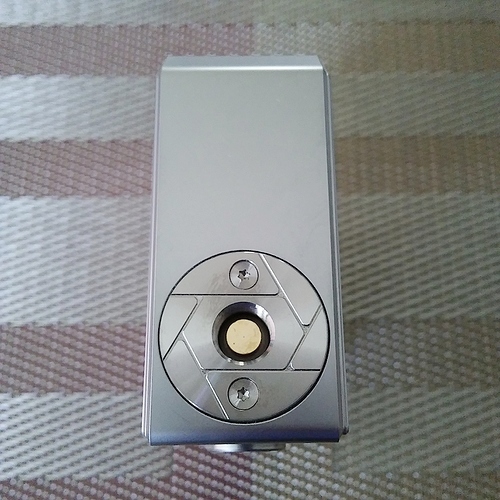 I absolutely love the 510 Connector on this mod, and that is something I have never loved about any other mod, in fact I have never given it much thought beyond its functionality. It sits level with the top of the mod, unraised, held in by two small screws. The gold plated pin is spring loaded, and composed of gold-plated brass. The lines running through the plating almost look like a work of art, I even hate getting Eliquid anywhere near it, as I want those lines to look pristine. Using the Goon 24mm, it sits flush on the device with a healthy amount of room, no wiggle. The only other con I have with the Drag (and this is also tiny) is the sharp corners. The corners consist of a small lip that sits out beyond the metal, and this actually serves to make it sharper than it would be without that small lip protruding out. 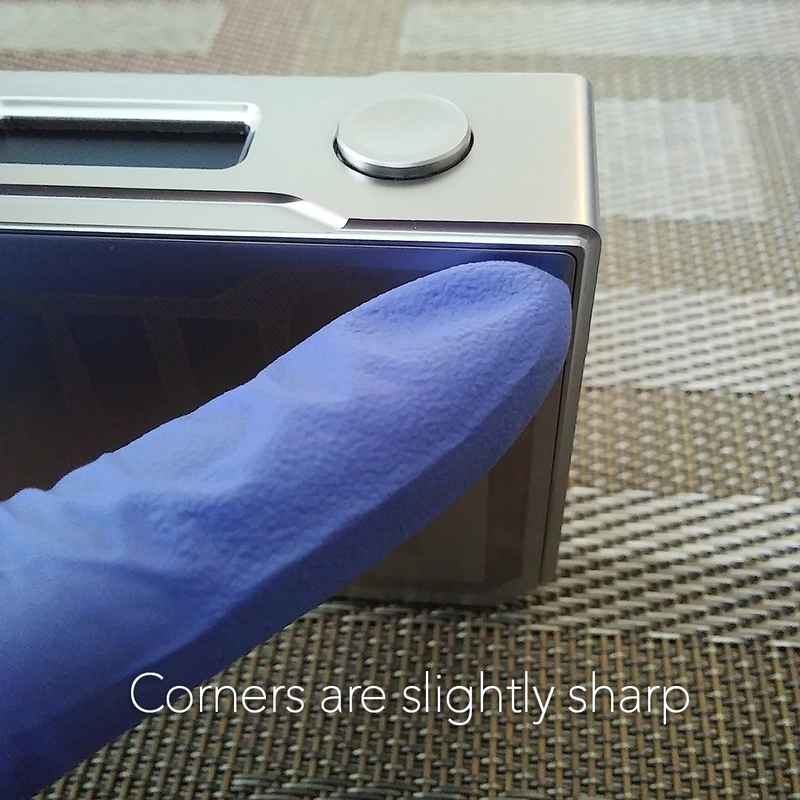 If you hold the mod with buttons facing away from you, it can get pretty uncomfortable after a few minutes, and unless you reposition, you will have a little indent somewhere along the inside of your fingers. 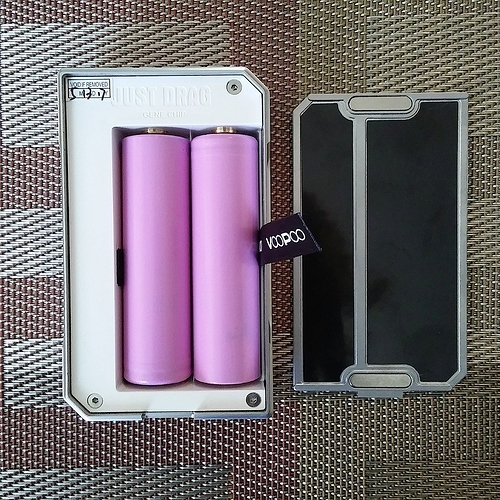 The Drag has an Injection Molded Battery Bay, complete with markings for battery placement (Reverse Polarity Protection should you ignore these), spring loaded battery pins, and a ribbon for easily popping your batteries out. Now, with these ribbons, I have found that some can act a little finicky, such as popping your batteries out with more force than you intended. I have made it a point to always lay my palm across the batteries gently while pulling the ribbon, just to avoid batteries flying through the air (or at the least, falling to the floor). The battery door is held by two, Herculean strength oblong magnets, which securely snap the door in place. When it comes to the magnets on battery doors, the problem hasn’t been do they work well enough, but usually does the glue holding them actually keep them adhered. Sometimes, no. 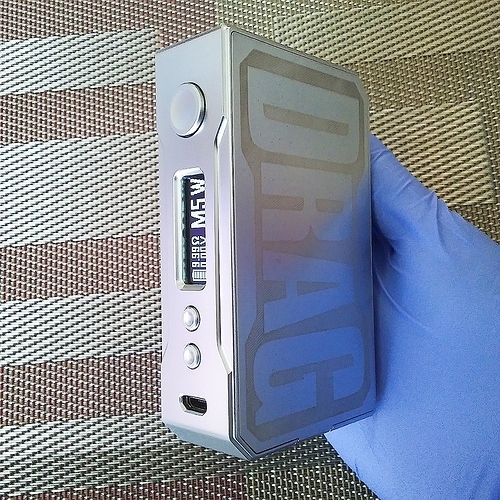 Due to the build quality of the Drag, I really don’t see that being a problem here. I will not intentionally damage a mod, but I did try to finagle one of the magnets out, and let me tell you, those things are in there good. 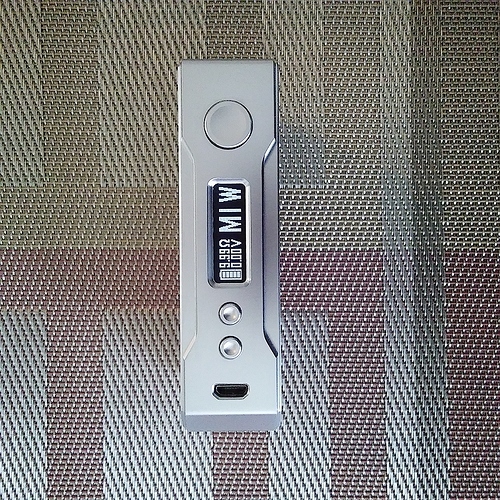 Starting October 1, Voopoo will actually be changing the bottom markings, the Drag won’t change much, but they will be adding Genevape to the Alpha One Mods. The LCD Display is bright, and clear. It self dims after a few seconds after pressing and releasing the firing button. 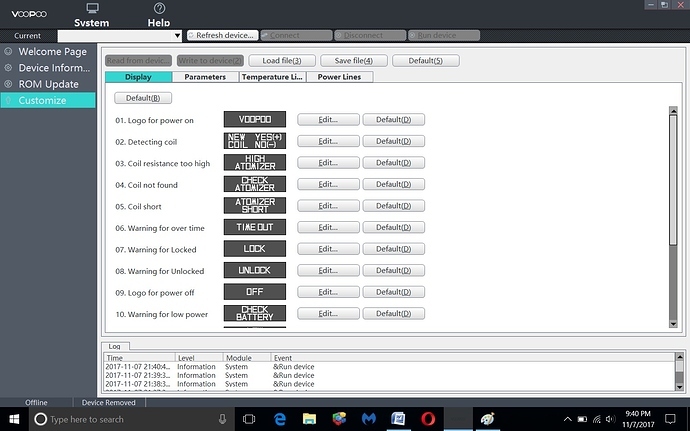 The brightness can also be adjusted (If you are battery OCD like I am) via the Configuration Software to fully customize the Drag. I really wanted to research the 32 Bit Gene Chip as best I could, beyond just simply using the device. 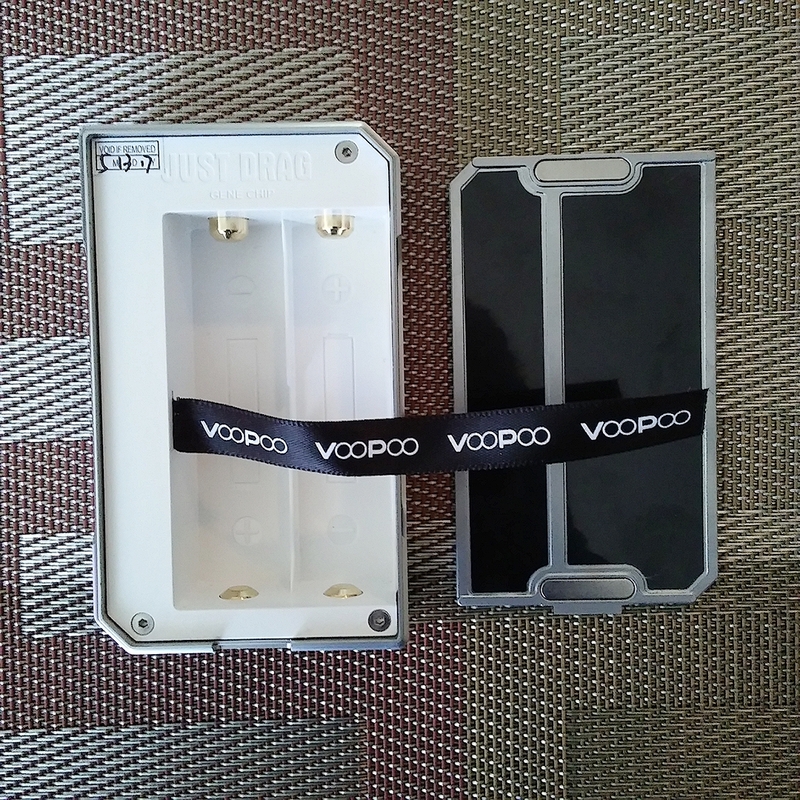 In 2017, VOOPOO purchased the Chinese branch of WoodyVape. This merging of companies allowed VOOPOO to successfully establish itself as a Powerhouse in the E-cigarette Market, with vast resources for design and R&D. 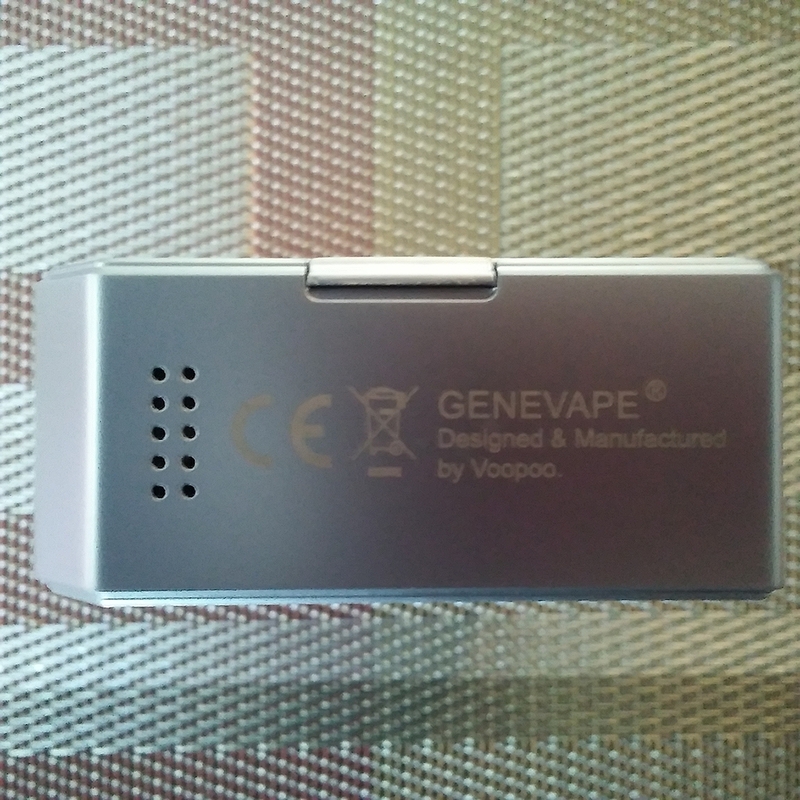 VOOPOO, in cooperation with Gene-Vape Solutions was able to use an upgraded Gene Chip with exclusive rights to its use. The 0.020-0.025s firing speed of the Gene Chip is a big contrast to the 0.080-0.100s speed of ordinary chips. The Gene Chip also boasts Resistance Adjustment, Variable Voltage, Super Mode, and Wave Power Output. It’s not a DNA Chip, but for the price, this is absolutely a great alternative for those who want superior performance, without costing an arm and a leg. It is labeled under ‘Configuration Software’, separate from the ‘Drag Upgrade Firmware’. Much can be controlled via the Companion App, from the display brightness, Logo, to extending the 10s cutoff. You can even change various error messages to display the message of your choosing. Instead of ‘Atomizer Short’ you could simply display ‘Aw Shucks’. 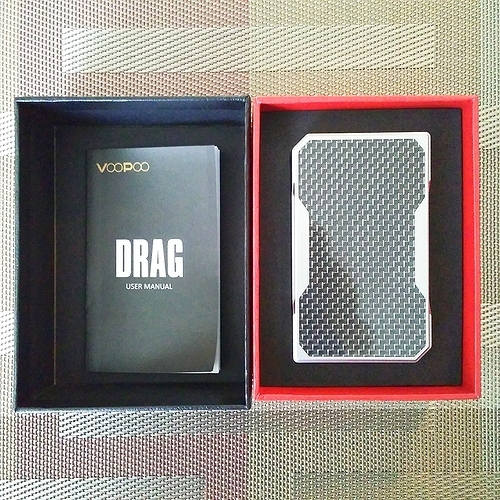 The Drag is a performer, pure and simple. It goes from zero to vape in the blink of an eye. Its accuracy is on par with its speed, which is blazing fast. I tend to use Stainless Steel coils, and have only dabbled in using its TC function, but it was a comfortable, warm vape with absolutely no dry hits, not even close. It makes the Temp Control of an older style mod seem like an outdated failure, especially on mods where the Temp Control was only decent at best to begin with. 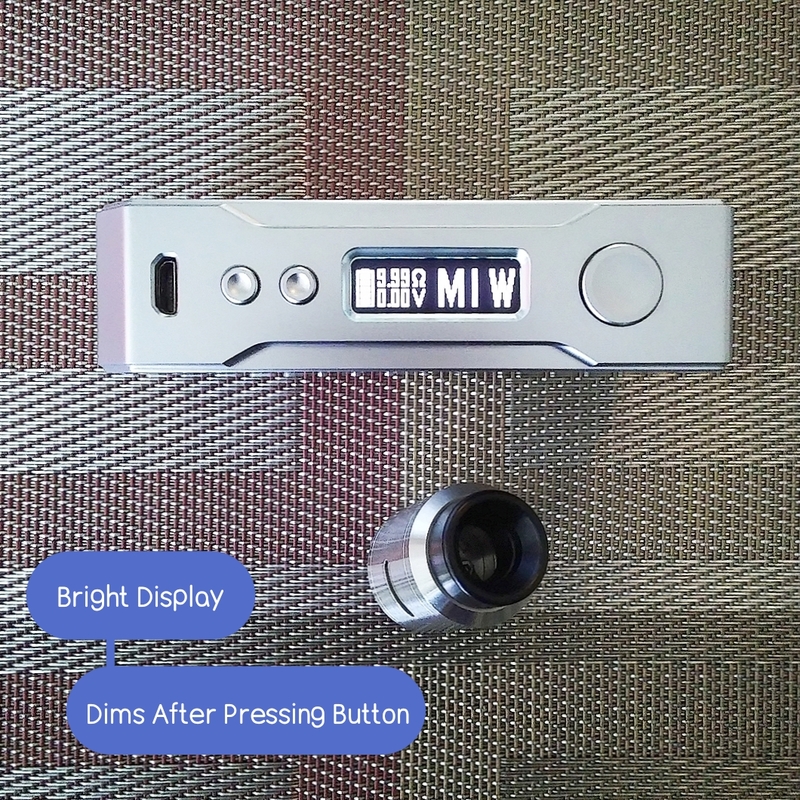 Pressing the fire button three times in quick succession will allow you to browse through the various vaping modes. In the second menu, if you are in Power Mode you can access the 5 different Memory Modes, check the serial number (listed as SN in submenu) and the Firmware version, which displays as a cute little Floppy Disk (ah, those were the days). In TC Mode, the menus change slightly, giving you the power to change the atomizer resistance and set the TCR values. In Memory Mode, you can create custom power curves for each of the 5 Memory Mode Inputs. Each Memory Mode input represents a 10 second curve, in which you can adjust Temp and Wattage for each second. This is displayed in a graph of small bars on the screen. 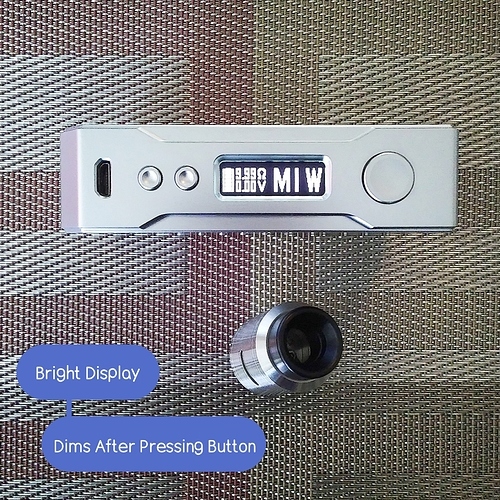 In trying the custom curve, it’s quite similar to the Geekvape Aegis, which also has this feature. I am not one to take a 10 second hit, not even close, in fact I average about 4.5-5 seconds at max, but it’s a neat feature, and shows the customization craziness that is the Drag. SUPER Mode. Let that sink in. After 129w, the up button must be pressed again to go beyond 130w, which puts you in SUPER Mode. I don’t vape at 130w, but tried (for a few seconds). Good gosh. It heats up SUPER fast, and provides a warm, satisfying quick sizzle. 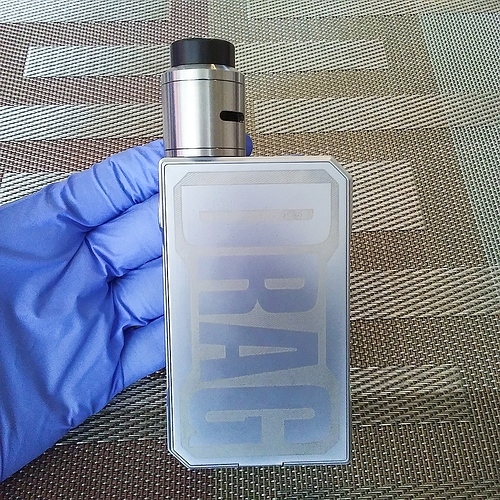 For me personally, every wattage on the Drag is super, it’s such a likeable mod. 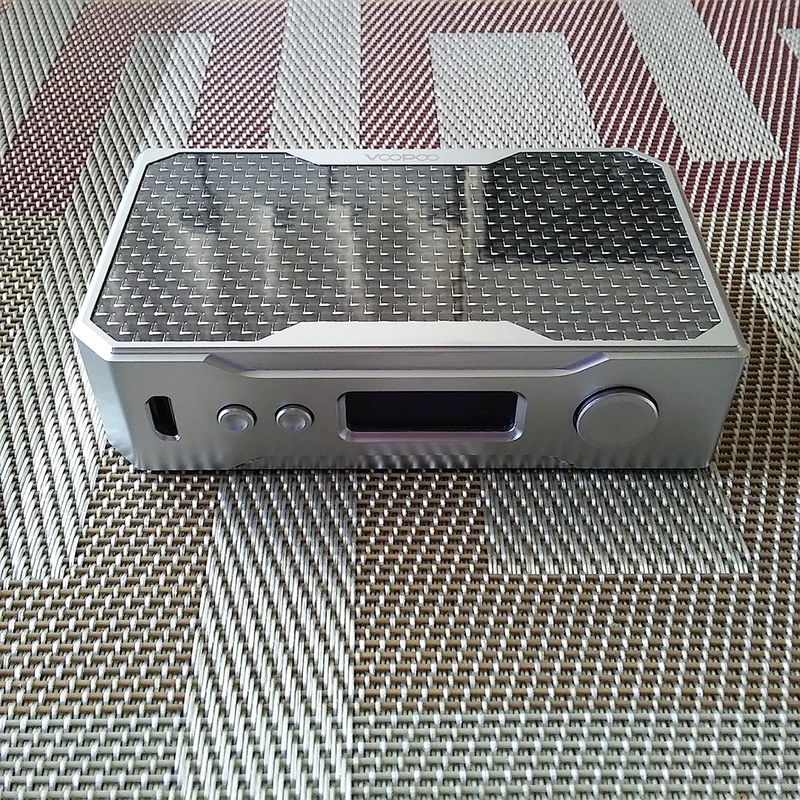 One thing I did find a bit…odd was the TCR values that Voopoo has listed. The default values of the different metals seemed different than the values that I have been used to. 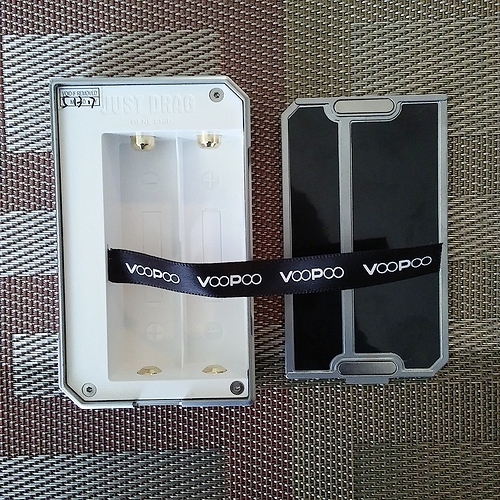 For example, Voopoo has the TCR Value for Stainless Steel listed as 1300. 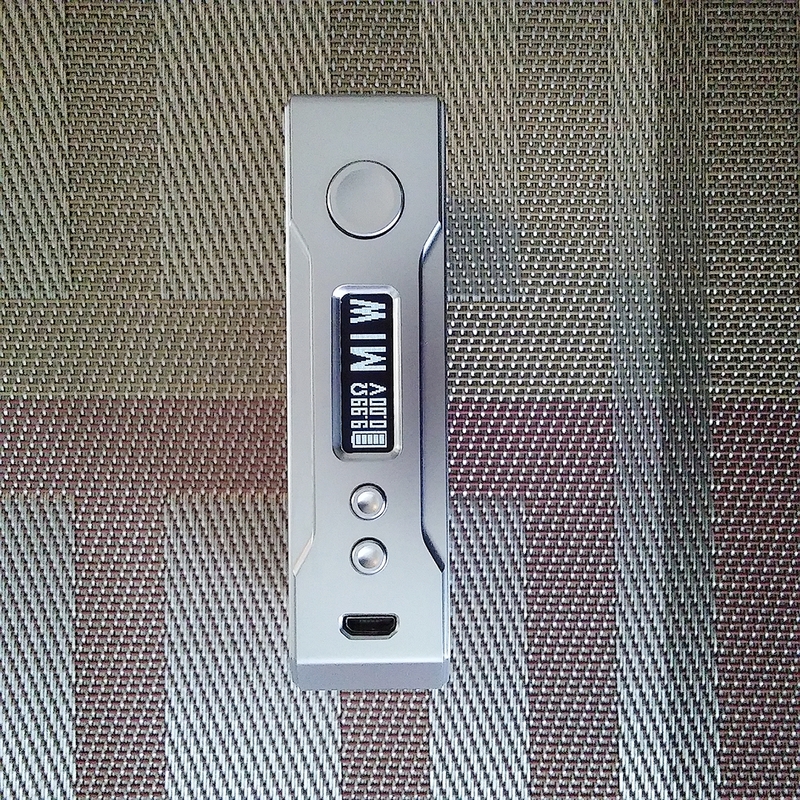 Now, I remembered that Nickel has one of the highest coefficients among the commonly used metals, which Voopoo has listed at 6500, and I remember using Stainless Steel at 0.00092 (or 0.00094) in TCR on previous mods. I don’t know why the TCR values are different, or if Voopoo has some type of conversion chart regarding their default values. 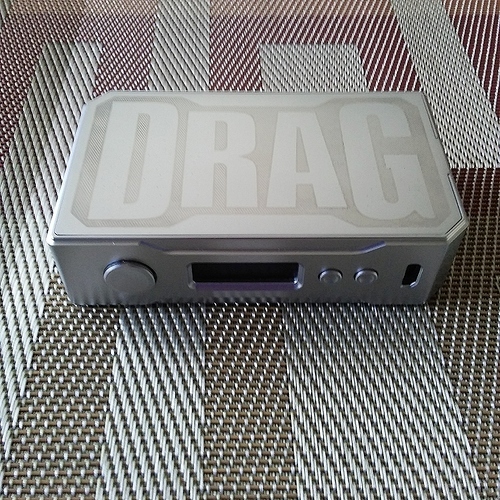 I feel like I have tried to hold back in this review, trying not to gush about every little detail that I love about the Voopoo Drag, it’s been tough. 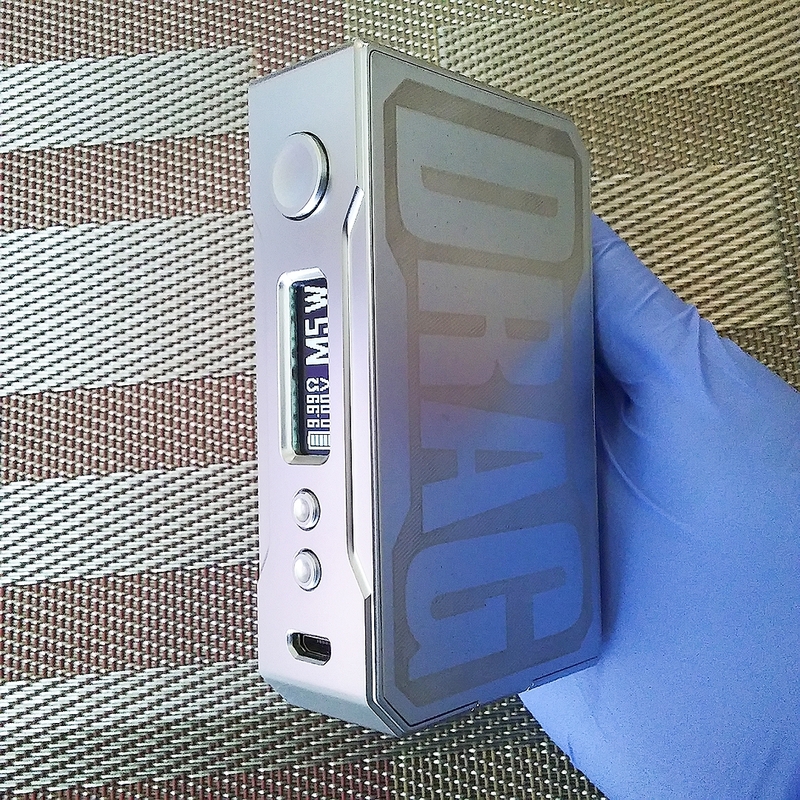 I thoroughly enjoy the level of customization options that the Drag provides. I have even managed to add a Heaven Gifts logo with little wing accents to the startup of the mod. The instantaneous firing is even better than the Geekvape Aegis, resulting in a hit that at 70 watts, feels much more deep and satisfying. The classic style rectangular body is chunky and delicious, and even though it may be a pain on the fingers, it’s totally worth it. 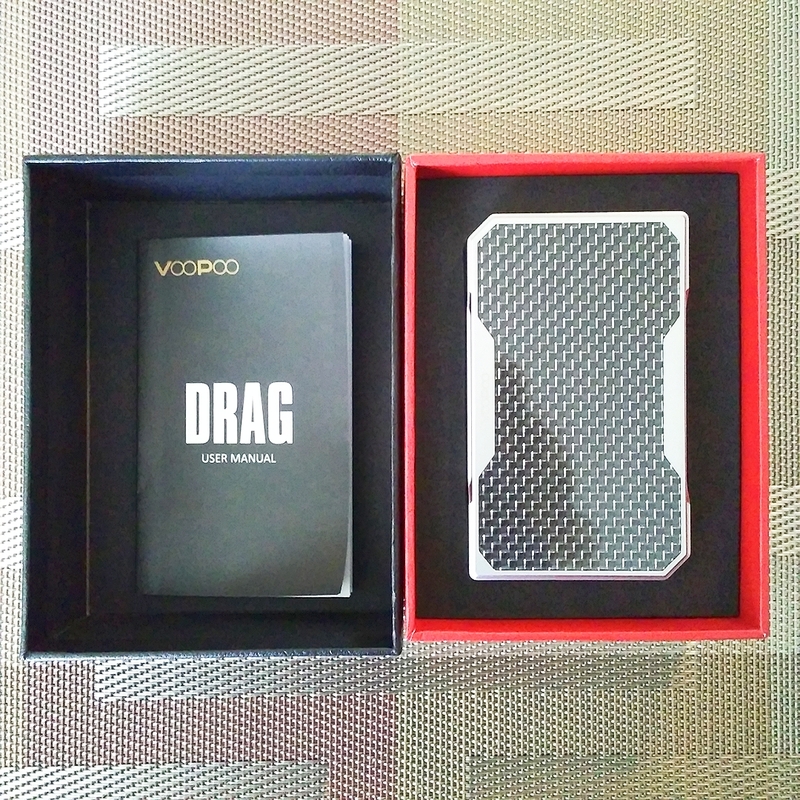 For the price, the Drag is an outright bargain. The accompanying software is easy to understand and use, which is certainly a plus, especially for people who don’t want to rely on software to have to get their mod up and running. If I were to lose, drop, or somehow destroy the Drag, I would certainly buy another. It has been a stellar vape, and I am completely enamored with the Voopoo Drag . Christmas is coming up, the VOOPOO DRAG would make a stellar gift or stocking stuffer! Very nice review. I’ve had a Drag for about 8 months and it has become one of my favorite mods. Very detailed and informative review! It’s one hell of a mod for sure. The Genie chip is awesome and I’m excited to see what else Voopoo has in the works. Hopefully they learn that we aren’t looking to cut vegetables with our mods and to soften the edges a bit. You make it difficult to not be the dirty boy I am! But I will control myself and just quote you. All joking aside you have me seriously considering one of these mods! You really should, I entered the giveaway more for my hubby, but after spending time with it, I seriously am going to get myself one for Christmas. Bravo! Excellent review! Not a huge fan of “old school boxy” style mods, but the information dump I just digested is awfully interesting. Love a mod with a solid, quick-firing chipset! @Cutlass92 I could practically hear your teeth clinch-cracking as u held back on that one! U showed superior restraint sir! Cheers! Another great review. You got some useful info in there which not only relates to the device and some background about the company. It certainly show as if u didn’t just gather from there site but did some digging on your own. It also seems all elr reviewers are encouraging each other to step up their game perhaps? Great job all of you! Thanks Worm that means a lot, really. I actually typed and sent a questionnaire that I prepared to both Voopoo and Gene-Vape Solutions(R&D Team), but knew it probably wouldn’t get replied to in time. When they do reply, I plan on adding their responses to the review as well. Thanks for the confidence boost , that was awesome of you. I so can’t help some of the doofus things that come out sometimes. They simply just roll off my fingers, and onto the interwebbings. 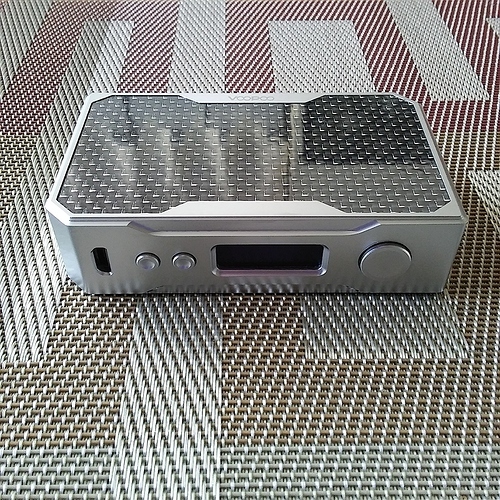 I, unlike freakin’ crazy @ADKmac… love these old school boxy looking mods! (Like the alpha one…ooh yes please!) The one thing that gets me about the drag is the giant DRAG on the side…lol But I’m sure I could get past it if I tried. It does tend to make me think of a Drag Queen Superstar, but I actually got more of a kick out of that fact that it rhymes with a bodily function. My maturity level, on display. Most impressive review Mrs Amber! I was really put off by the manufacturers name and then the “Drag” thing just hit me as major gimmick. Then I saw the Alpha One in person and consequently read this review. I’m able get past the marketing now and see that it, they, are really solid mods. I have to appreciate structural integrity at a time when many mods nearly fall apart right out of the box. Nicely done review. I’m impressed. Thanks yall, that means a lot. 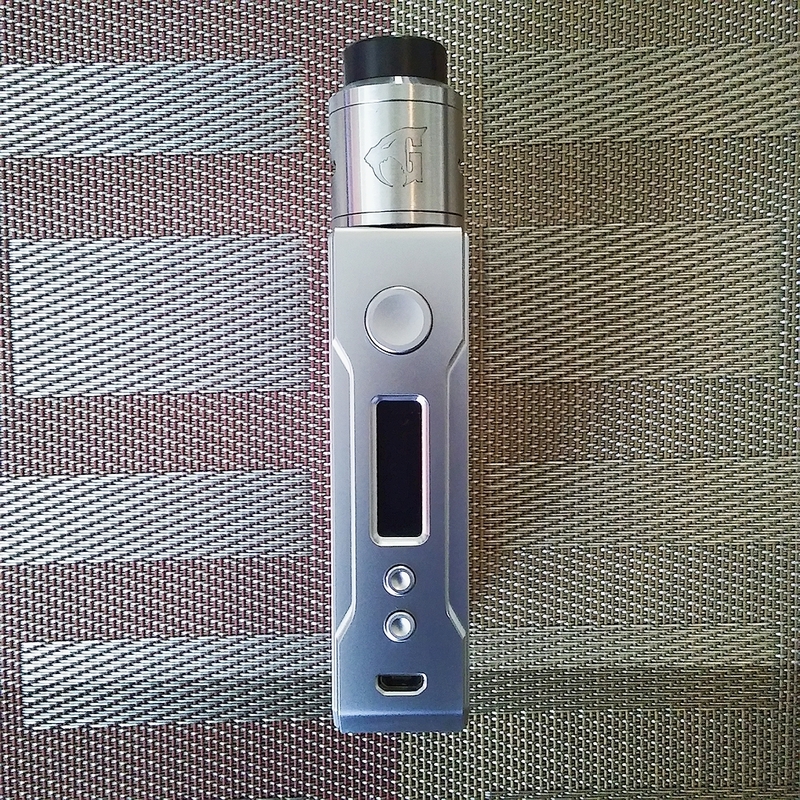 It’s a pretty darn good mod, and I am one of those people that go for functionality and longevity in a product, not gimmicky frills, or useless functions. I know the name seems silly, but I started wondering, why did they pick it? I think the name relates to mathematical science, as Voo (mathematical entity) and Poo (purely scientific entity). The only other option was short for Voodoo Poonanny, which I won’t even list that definition. Yikes. Who knows the reasoning, but they made some darn fine mods. I’m with you, form, fit, and function. I also really like the fact that they did not paint it. I have tree mods now loosing paint. Once a logical section has lost all of it’s paint a little light sanding, a little never dull, and a nice buffing and to my eye it’s better than new. In the mean time however it really looks like junk. Thanks Lolly! I appreciate the heck out of it . @SmilingOgre, I keep my mods super clean, really really clean. I even clean my husband’s because it irritates me when it’s dirty, although paint coming off somehow is worse. There are finger lines of worn paint on my Cuboid, and my button went from black to dull Grey, while the VTC Mini, which was made before the Cuboid has stayed perfectly painted, not a spot worn away. Why they didn’t adopt the paint of the better quality is beyond me, but I’m with you, paint wearing away irks me. I’ll write this then leave you alone. You hit the nail on the head. The one that makes me shake my head is my Triade. Lost Vape like type Triade. That is a nice mod!, form fit and function. The face plate is fine as is the leather battery cover, but the paint came off of the frame. Why would a company like Lost Vape do that? It’s fine again now after a fair amount of elbo grease but really?